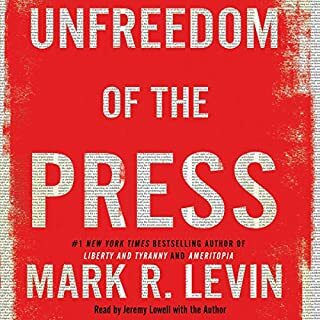 Mark R. Levin has made the case, in numerous New York Times best-selling books - Men in Black, Liberty and Tyranny, and Ameritopia - that the principles undergirding our society and governmental system are unravelling. In The Liberty Amendments, he turns to the founding fathers and the constitution itself for guidance in restoring the American republic. Some of America's most important founders have been erased from our history books. In the fight to restore the true meaning of the Constitution, their stories must be told. In the thick of the debates over the Constitution, some founders warned about the dangers of giving too much power to the central government. Though they did not win every battle, these anti-Federalists and their allies managed to insert a system of checks and balances to protect the people from an intrusive federal government. Other forgotten figures were not politicians themselves but by their thoughts and actions influenced America's story. Yet successive generations have forgotten their message, leading to the creation of a vast federal bureaucracy that our founders would not recognize and did not want. The popular movement that swept Republicans into power in 2010 and 2016 was led by Americans who rediscovered the majesty of the Constitution and knew the stories of Hamilton, Madison, and Washington. But we should also know the names of the contrarians who argued against them and who have been written out of history. If we knew of the heroic fights of these lost founders, we'd never have ended up with a government too big, too powerful, and too unresponsive to its citizens. The good news is that it's not too late to remember and to return to our first principles. Restoring the memory of these lost individuals will strike a crippling blow against big government. 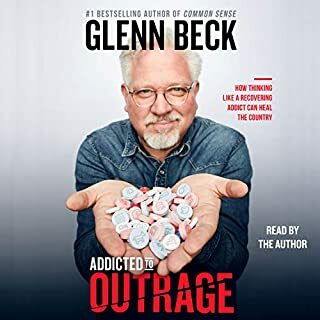 The most striking thing that this audiobook had mentioned that has stayed with me is the case of Aaron Burr and President Thomas Jefferson. 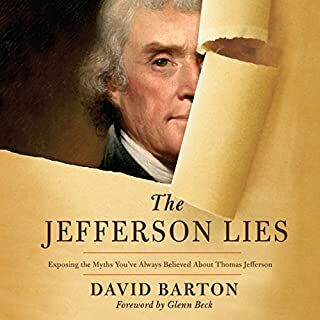 Jefferson is the bad guy, not because he was sleeping with Sally Hemmings, or because he didn't care for Alexander Hamilton, but for trying to brand Burr a traitor without sufficient evidence. Overall this is about people who have fought to hold back the worst parts of big government, except for the story of the slave woman. Her story is very interesting but isn't really about big government, but expressing her rights and it doesn't seem too different until you look and see what all the people profiled have in common. Most of the people profiled existed around about the time of the American Revolution. Lastly, I think having a female narrator was probably the best decision for this book. A male voice would have come across as too aggressive. 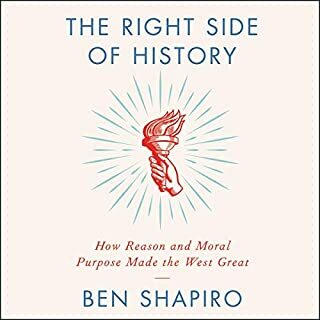 Every thinking American should read this book! I thought Thomas Jefferson was a great guy. I never had a history class that showed his dark side, selfish side, a side willing to hang a man that disagreed with him. And in an era of big government, an amazing wake up call. One of the most important books I've read. The anti-Federalist were right the Federalists were wrong! We have a out of control federal government, in Washington D.C.. 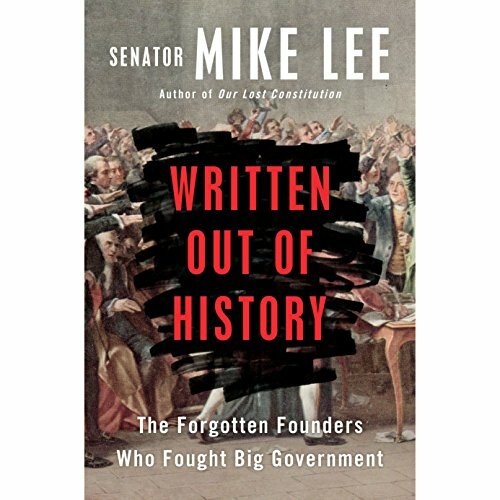 The anti-Federalists written about in this book, and others Senator Michael Lee hopefully will consider writing about also where the real heroes of the American Revolution pushing back on the BigFedGov Federalists. Spread the word about these founding fathers and mothers, in Written Out Of History. Buy for & also share this book with as many as you can. I would highly recommend this book. It was easy to listen to, Kimberly Farr did a great job narrating the book. It was informative, moved along nicely, and he tied all the stories together. I gained a different perspective of history and really enjoyed the book. This was an excellent book. Like his first book, this book should be required reading for all high school students. Those who have criticized it lack the understanding of the principles of the founders and how we have gone off course. 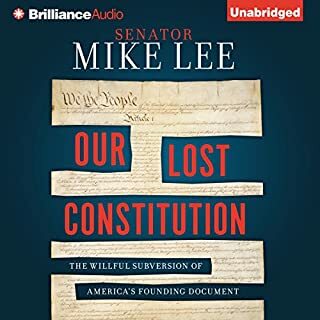 Mike Lee is a national treasure. I was moved to tears several times listening to the forgotten history of some of the most profound movers and shakers of our founding. Our nation had a super team of folks contributing to it's founding, These are the interesting stories of folks that were important players but not the well known stars of history. Not my usual form of book, glad I listened to it. 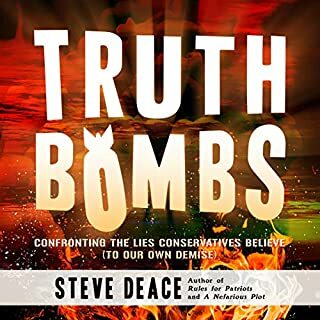 this book will remind you of how the government should work. It also shows you that today's political wrangling is nothing new. A worthy review of rapidly erased historical individuals. Not necessarily a political philosophy of great study. Just 8 hrs or so of various occasions when individuals from a forgotten past stopped upon the path & questioned the legitimacy of power our young government sought to possess & in the case of James Otis - the hard hand of a Kingdom. I would likely offer it more to a student who was interested in politics, but senses today's overreaching governance is a drift.